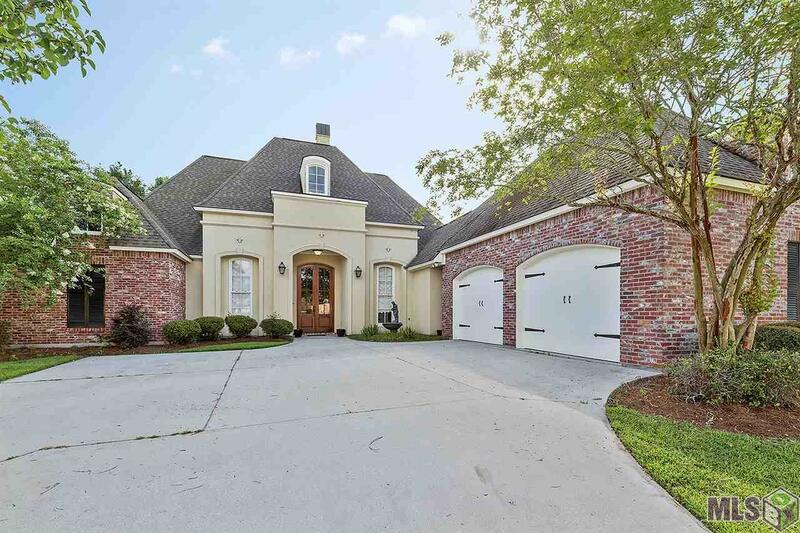 IMPRESSIVE home in Praireiville just hit the market it's only minutes from BATON ROUGE and QUALIFIES for 100% FINANCING! It is located in the popular subdivision Fountain Hill, has Ascension Parish Schools and did NOT flood! Look no further - this fabulous home offers CHARACTER and SPACE, BRICK WALLS and ARCHES, oh my!!! This 3 bed 2 bath has custom touches throughout this beautiful home and you will love the SPACIOUS KITCHEN! There are TWO fireplaces, lots of natural light, and stained concrete almost throughout the entire home. And be sure to check out the OUTDOOR KITCHEN & wrap around covered patio, which is nestled in a completely fenced backyard with no neighbors behind it for outdoor entertaining & privacy. There is a GORGEOUS FORMAL DINING room plus an extra built in computer nook. This home is a rare find! Fountain Hill has a subdivision POOL, CLUBHOUSE and WALKING TRAILS! What a beautiful home in a beautiful area!